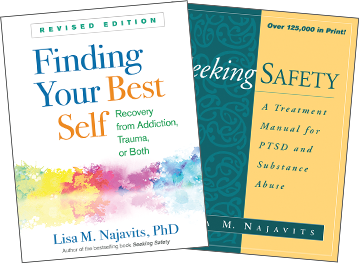 Sign up for e-alerts on new titles from Lisa M. Najavits (with special discounts)! 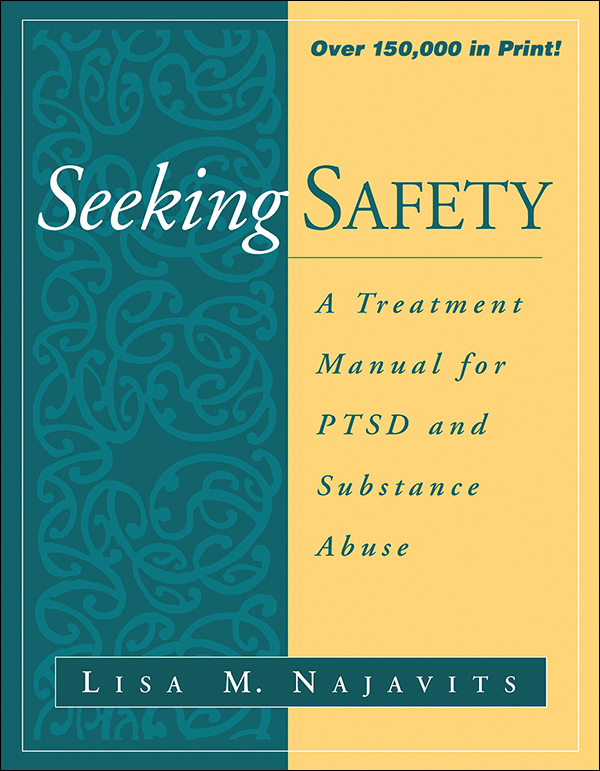 This manual presents the first empirically studied, integrative treatment approach developed specifically for co-occurring PTSD and substance abuse. For persons with this prevalent and difficult-to-treat dual diagnosis, the most urgent clinical need is to establish safety—to work toward discontinuing substance use, letting go of dangerous relationships, and gaining control over such extreme symptoms as dissociation and self-harm. The manual is divided into 25 specific units or topics, addressing a range of different cognitive, behavioral, and interpersonal domains. Each topic provides highly practical tools and techniques to engage patients in treatment; teach "safe coping skills" that apply to both disorders; and restore ideals that have been lost, including respect, care, protection, and healing. Structured yet flexible, topics can be conducted in any order and in a range of different formats and settings. The volume is designed for maximum ease of use with a large format, lay-flat binding, and helpful reproducible therapist sheets and handouts. See also the author's self-help guide Finding Your Best Self, Revised Edition: Recovery from Addiction, Trauma, or Both, an ideal client recommendation.